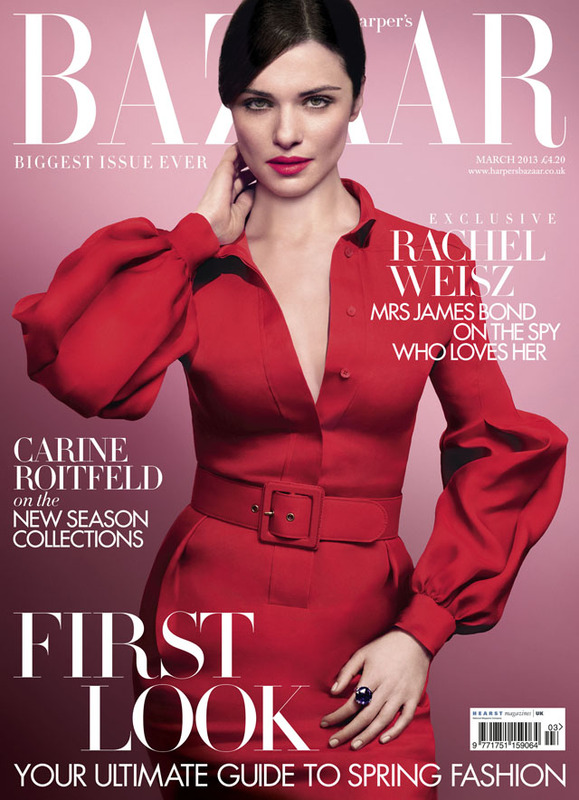 Rachel Weisz is the cover girl for Harper’s Bazaar UK March 2013 Issue. This cover is much better than the February issue with Anna Hathaway. Rachel looks amazing on this and the cover is more colourful as well. This issue hits the newsstands on February 7. Grab your copy.